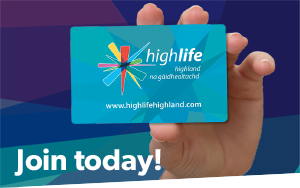 High Life Highland is running a series of “Knowing Me Knowing You” sessions at High Life Highland leisure centres throughout the Highland area. These FREE 20 minute sessions are designed to showcase what your leisure centre can do for you – it could be more than you think! With over 360 fitness classes to choose from including Zumba, Metafit, swimming sessions, access to sports halls and outdoor activities, High Life Highland facilities offer a wide variety of opportunities for people of all ages and activity levels. Our friendly, experienced and trained staff will show you round the leisure centre and provide information about the wide range of activities on offer. They will also give you information on what to bring and wear and anything else you would like to know about what your leisure centre can do for you. Try our FREE 7-Day * Leisure Centre pass and feel the difference it makes to your life. Join in on one of our “Knowing Me Knowing You” sessions whatever your age, activity level or interests.These sessions are run at your local leisure centre – it only takes 20 minutes and you might be surprised at the wide variety of activities offered. Visit our Health and Wellbeing area, for further information on our projects and initiatives.